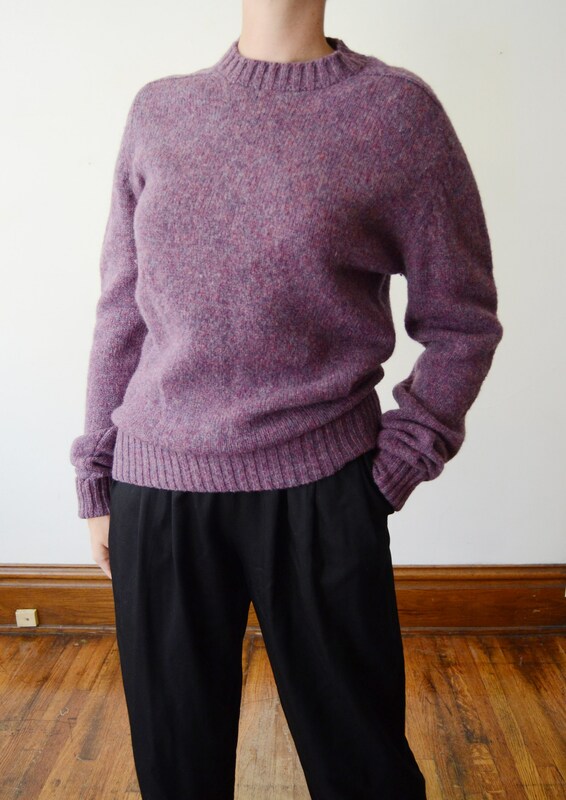 Description: A purple wool sweater, nice and warm for fall and winter! Pulls on over the head and theres a few inches of stretch to the knit. 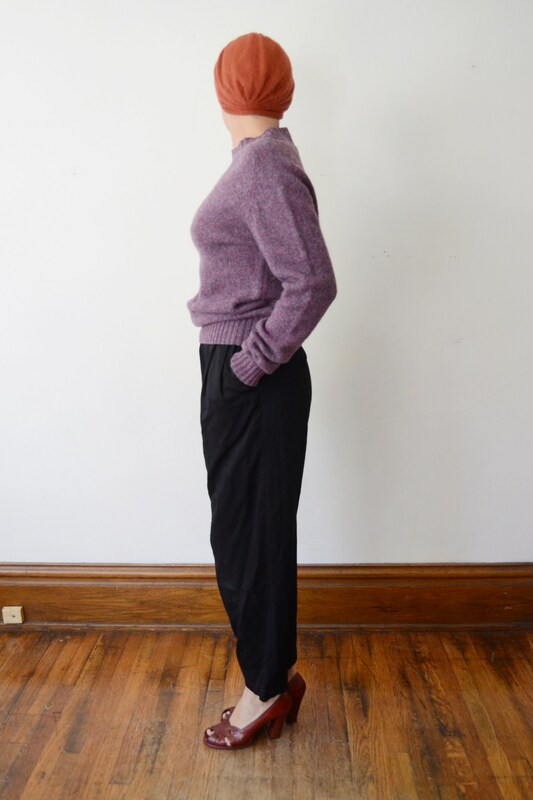 Wool can feel itchy so if you are particularly sensitive you’ll want a layer under this for the upmost comfort.